We have secured an exclusive and completely private location not available for anyone just for preferred customers. An absolutely stunning private terrace with unbeatable views to the Arno River and Vasarian Corridor. The unique terrace is located right on top of Ponte Vecchio. The secret location is ideal for romantic dinner. 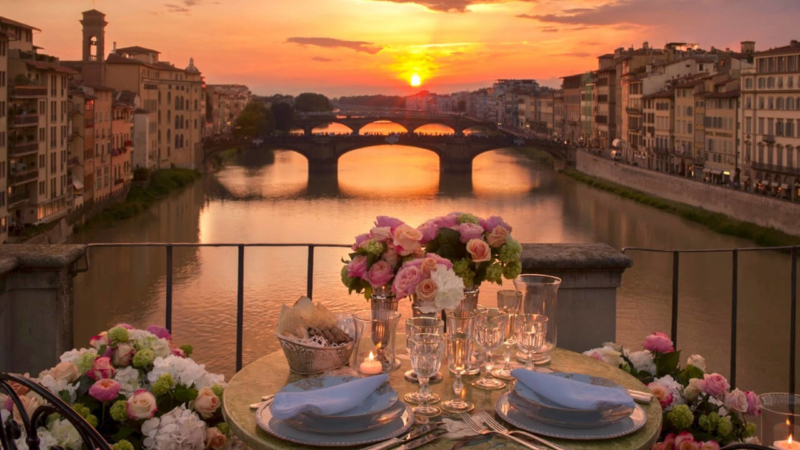 It is an unparalleled new way to experience the landmark by giving guests the chance to enjoy a Michelin- starred cuisine, actually dining on the Ponte Vecchio for the first time. A glass of champagne and a four courses menu will accompany the setting of the sun, letting you enjoy your private celebration, with the best dedicated Service. 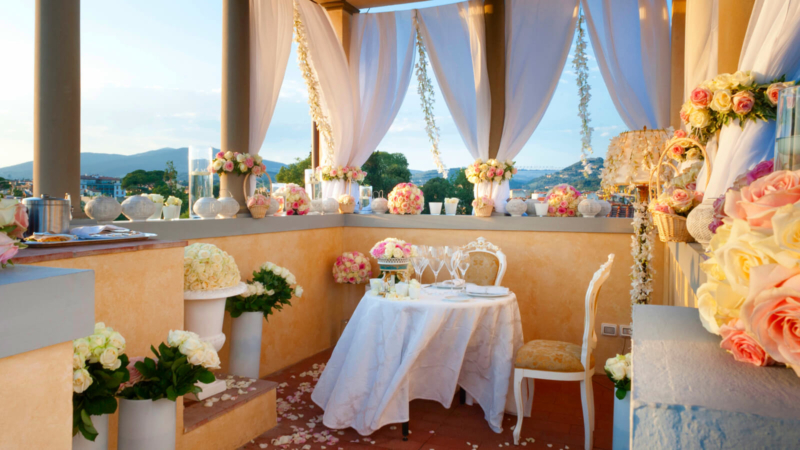 Picture an intimate table for two on the exclusive rooftop terrace, lovely flower decorations and candle- light to set the perfect atmosphere… and the breath-taking view of Florence’s skyline at sunset as your back- drop. A dedicated butler will welcome you with Prosecco and canapés, followed by a four course degustation menu from the Michelin starred restaurant while the head sommelier will be at complete disposal to match the wines. 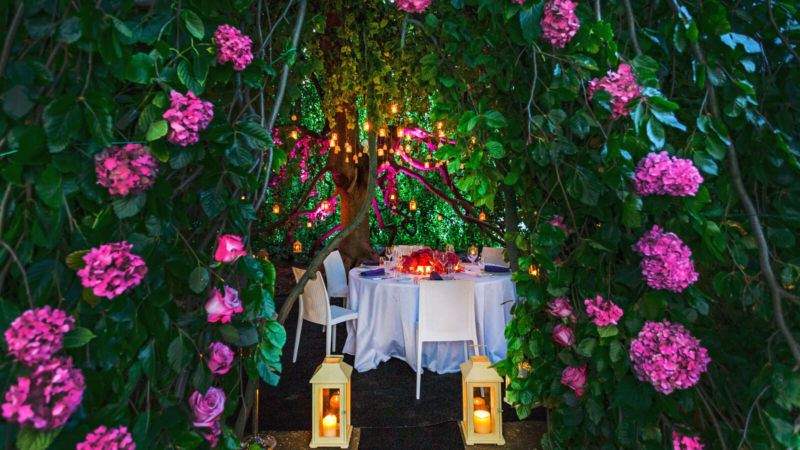 Under the majestic broad crown of the1850’s weeping beech “Faggio Pendulo”, the largest secular tree of a historical Park in Florence, you will enjoy a magical dinner shaded away by the natural branches that reach the ground, creating a private and whimsical location. 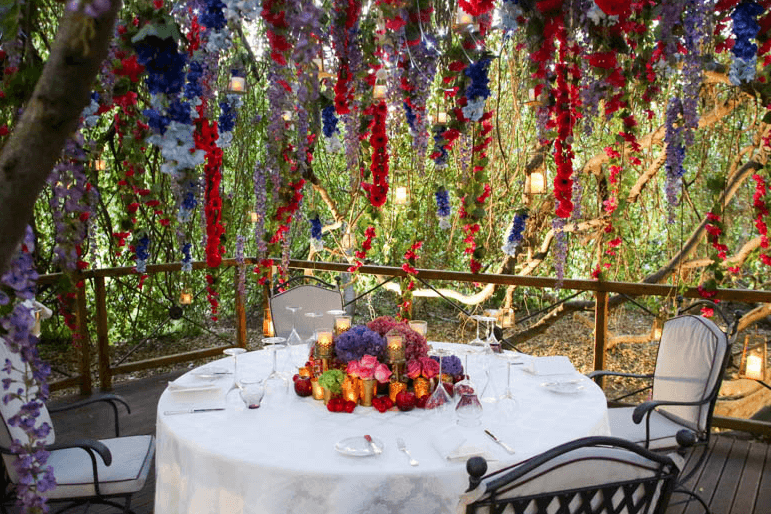 Inside the tree, thousands of green leaves will welcome you together with a lovely table decorated with fine dining settings. Under the Faggio Pendulo Tree you can enjoy a unique dinner. 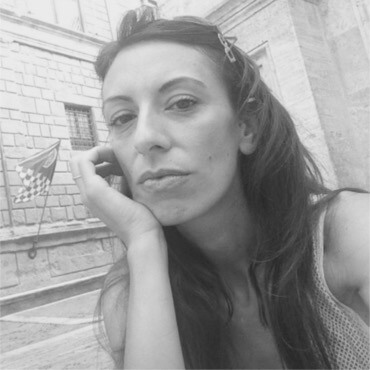 Live music from pianist will accompany the evening in an unforgettable romantic dining experience! A Unique Dinner Experience with a starred cuisine in a truly exclusive and secret location. 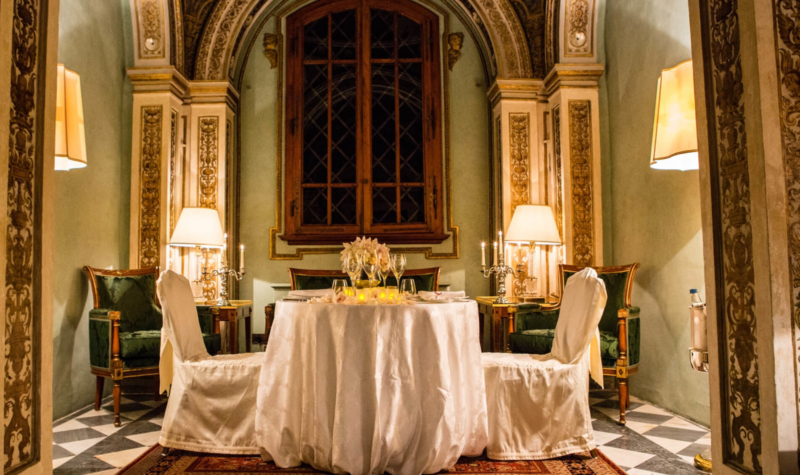 A dedicated Butler will welcome you with two glasses of prosecco and passing canapés, in a dream like setting of a private chapel surrounded by original frescoes from the 1400’s. In a beautifully decorated table, dining under the glow of the mother pearled ceiling and in the candlelight, your night is sure to be unforgettable! The Head Sommelier will be at your disposal for choosing your favorite wine paired with the Michelin Starred 4 courses degustation menu.